Wednesday, May 23rd, 2018 . Renting shoes and perfecting the art of bowling-without-bumpers is a favorite memory of Waitlist Me’s app developers, and we’re thrilled that our favorite outing of old is back in favor with everyone from teens to millennials to families with kids. Seeing a surge in your clown shoe-clad customers? Waitlist Me is a waitlist and reservation app that can help you smoothly manage the increase in traffic—and turn new customers into loyal fans. Here are 3 ways our app can help any bowling alley gain new business (and improve customer service) today. A line at the door can make any strike-happy group turn tail and hit up a pizza parlor or movie theater, instead. Waitlist Me helps you keep customers regardless of your wait time. How? By making that line disappear. Thanks to unlimited text notifications for users in the U.S. (and pay-as-you-go texting for Waitlist Me’s international plans), you can add groups to your waitlist and then let them roam free until a lane becomes available. They could grab cheese fries and a pitcher of beer at your snack stand, shoot pool and play PAC-MAN in your arcade, or window-shop their way down the street. When they’re first in line, you can send them a heads-up via text. You brought in snacks and arcade games to serve your bowlers better. But those add-ons don’t have to be after thoughts. Now, with large groups looking for impromptu hang-out spaces, your bowling alley is primed to offer a variety of fun options for everyone, including the non-bowlers in the bunch. You can use Waitlist Me to give everyone a chance to do whatever it is that floats their boat…without making ‘em stand around in long lines by themselves. How? Waitlist Me is flexible enough to be used for people waiting for lanes, your in-house food area, or even popular games like air hockey. Text ‘em when it’s their turn, ensuring that they’re never sacrificing quality time with friends and family to hold their place in line. You can manage lines for different activities with status colors or even set up a separate waitlist for areas that have regular waits. Who wants a hassle for what should be a fun happy hour outing? Not your guests! That’s why it’s essential to make it a cinch for your customers to decide to shoot the breeze at your business rather than another spot down the block. A parking lot and food specials are a great way to get ‘em coming in your door. Another tool to have in your back pocket: Waitlist Me. The app is built to handle waitlists and reservations side-by-side, so you can forget about that mess of sticky notes cluttering up your front counter. Customers can call before they come, walk right in, or even add themselves to your waitlist or make a reservation online. And, thanks to the public waitlist feature, they can check your ETA from wherever they are, whether that’s the water cooler, the bar next door, or the parking lot. Thursday, May 15th, 2014 . 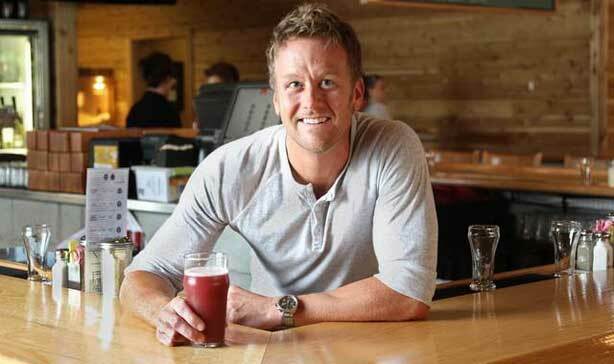 When Scott Wise launched Scotty’s Brewhouse in 1996, he was 22 years old with little restaurant operating experience. He had graduated with a degree in marketing and public relations from Ball State University and had just returned home to Muncie, IN, after a stint as a copywriter in Houston. That business was Mugly’s Pub & Eatery, a local Ball State University student hang out with a pool table, three beers on tap and a burger on the menu. For the next three years, Wise worked on the restaurant’s revitalization, changing the name to Scotty’s Brewhouse and eventually hiring enough staff to handle the growing clientele. That’s when he decided to open a second location. He was only 25, and already was building a restaurant chain. Undeterred, Wise decided to take the equipment from his second endeavor and open another Scotty’s Brewhouse location in Bloomington, IL. The year was 2011. The restaurant was a hit. A franchise was born. Today, Wise and his executive team operate eight locations throughout Indiana. Their biggest store, in downtown Indianapolis, holds 450 guests. With locations throughout the state and a continuous rise in customer visits, Wise was looking for a way to increase operational efficiencies while reducing costs. This led Wise and his team to NoshList, a waitlist app designed to simplify restaurant operations and improve the guest experience. The app runs on iPad and Android tablet and mobile devices and replaces old-fashioned paper lists and expensive buzzer waitlist tools. NoshList, available as a free or paid Premium service, works by sending guests text messages to their mobile devices alerting them that their tables are ready. If a guest doesn’t have a mobile phone, they can still be added to the waitlist and the host can locate them once their table is ready. More importantly, however, is that NoshList’s Premium users can utilize the app’s ability to collect analytics based on diner history. Additionally, Premium users have access to a two-way communication system for dine-in guests, so customers can let a restaurant’s host know if there are changes to the party. Wise had long been considered an early adopter of restaurant technology, a reputation that placed him on the industry speaking circuit for many years. Scotty’s Brewhouse first started using tablets at the table in 2010. The move was a premature one in regard to customer acceptance. While the tablets didn’t work for his customer base he continued to look for new and emerging technologies that would push the brand forward. After the failed tablet experiment, Wise decided to use NoshList as a way to increase sales and reduce operational costs even though he wasn’t sure customers would give out their cell phone numbers. “In the beginning I was nervous,” he said. “I don’t believe in text marketing and I wasn’t sure if people would give us their cell phone numbers. We had a little pushback from customers, but it wasn’t enough to stop using the technology because we were saving money on broken pagers and streamlining our seating capacity,” Wise said. To date, WaitList has seated more than 34 million diners through its free and Premium versions and in May launched an updated version specifically for iOS 7. Additionally, Wise and his team were concerned that customers would walk away once their names went on the waitlist because there was no buzzer that would tether them to the restaurant. Over the past six months, Scotty’s Brewhouse guests have embraced the NoshList technology. And because it’s an app-based system, the waitlist keeps running even if internet connectivity is lost. “The best thing is we don’t have pagers anymore. That cost was huge for us,” Wise said. Friday, May 17th, 2013 . We are getting ready to head to NRA, and are happy to have reached 11 million diners seated through the NoshList waitlist app. We have also added three key features to improve restaurant efficiency, which include customizable text message notifications, multi-restaurant management, and a customer-facing waitlist display. These are now available on iPad, iPhone, and Android devices. The customizable text message notification feature gives restaurants the ability to modify their text messages for waitlist notifications and allows managers to better engage customers by adding a link to their website or menu, or to inform their diners about specials and promotions. With the multi-restaurant management feature, new admin accounts allow owners or companies with multiple restaurants to login and see how each restaurant is doing from one account. We work with a number of large chain restaurants and wanted to give them more powerful tools to manage all of their stores’ waitlists. These new multi-restaurant administrative features are an introduction to all the advanced analytics and other tools we can provide to restaurant operations managers and owners of multiple restaurants. 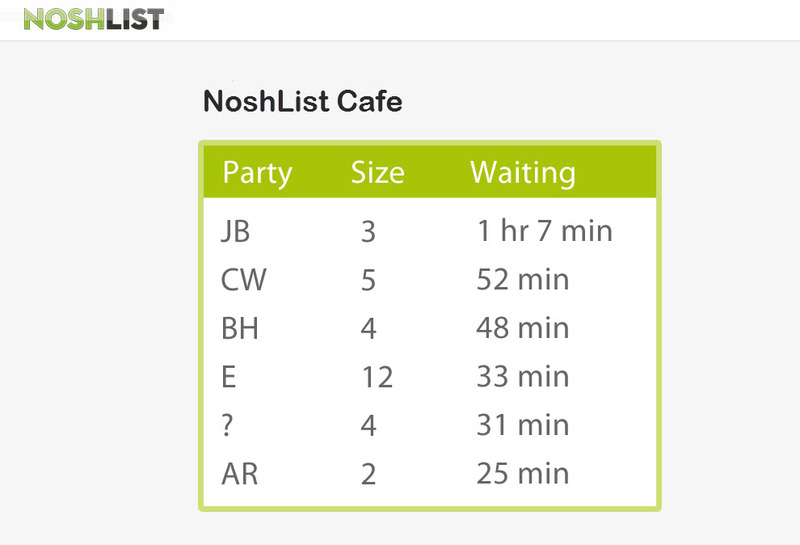 The third new feature released this week lets any restaurant using NoshList display a public view of the waitlist that customers can check from their phones to see where they are in the list. The mobile version uses a custom link in the notification message to highlight each individual customer’s position in the list on his or her mobile phone. NoshList will also be attending the National Restaurant Association show in Chicago this weekend, May 18-21, and will be located in the Technology section in the North Hall, Level 3 in Booth # 5867. Thursday, August 31st, 2017 . Amid the bottles of product and spritzes of perfume, what sets a top-tier cosmetics store apart from a beauty bargain bin? It all comes down to service—customer service. Greeting customers at the door with a grin and a basket is just the beginning. Here’s how luxury beauty brands are bringing waitlist management apps like Waitlist Me into their stores to turn run-of-the-mill customer service into rock-star treatment that keeps customers feeling pampered (and primed to buy). Your sales associates are great at their job, but even their well-trained peepers can’t estimate a perfect foundation match 100 percent of the time. That’s where technology comes in, and top brands are increasingly turning to tech to move more product. Sephora, for example, has partnered with Pantone to create Color IQ, which helps customers discover color-matched products that are currently available in stores. Brilliant, right? The next step is to get more customers using it on a regular basis—and that’s where a waitlist can help. Waitlist Me offers text alerts, which means that you can let customers know when it’s their turn to check the tech or have a special consultation, no matter where they are in the store (or the mall). You’re tapping in to the power of parties for one very good reason: They’re the perfect storm of shoppers who might never buy, normally, without scads of personal attention from your ace sales reps and a smattering of “oh, come on, buy it!” from their friends. Booking regular parties is a boon for your sales goals, but managing them in real-time can be a bear for store managers. Enter Waitlist Me. Its interface is flexible, allowing managers to allocate resources (think: space and sales talent) for blocks of time and check on the fly to see who’s available on the floor to do what, whether that means tidying shelves or taking on an impromptu makeover. Whether your pros are trained in skincare or eye makeup, Bobbi Brown or Benefit, their knowledge and expertise is what sets your in-store experience apart from a dot com. Give them the time and space to do exactly what you’ve taught them: Connect with shoppers on a personal level, show them product best practices, and help them choose the items that are right for their unique set of needs. Instead of enlisting all your sales associates as greeters, some stores are choosing to station a generalist up front who can direct newcomers to the right aisles and book walk-ins looking for one-on-one assistance with a specialist. Waitlist Me’s real-time ETA lets greeters give accurate time estimates to eager customers, and our public waitlist feature also lets customers check in on their own to see where they are in line. Wednesday, March 30th, 2016 . The Waitlist Me widget allows customers to add themselves to the waitlist and reservations. It is convenient for customers and saves you the time of having to take down information over the phone. Whether you choose to have customer requests automatically approved or pending an approval step in the Waitlist Me app, we have a new feature that you can use to limit when these requests can be made. This helps avoid confusion where a customer might try to add themselves to the waitlist when you are closed or not taking waitlist requests. Now you can decide if you’d like the widget to take requests all the time with the “24/7” option or you can set the days and times that it would do so. During the times that you choose to take requests the widget would display as it normally does. During other times it would show a message you can customize on not being available at that time. The new widget time display settings are part of the Waitlist Me Pro service.